The party has named this exercise to educate party workers the Pandit Deendayal Upadhyay Prashikshan Mahabhiyan. New Delhi: BJP president Amit Shah on Wednesday hailed his party's drive to enrol new members and train them, and said opposition parties are also now emulating this exercise. 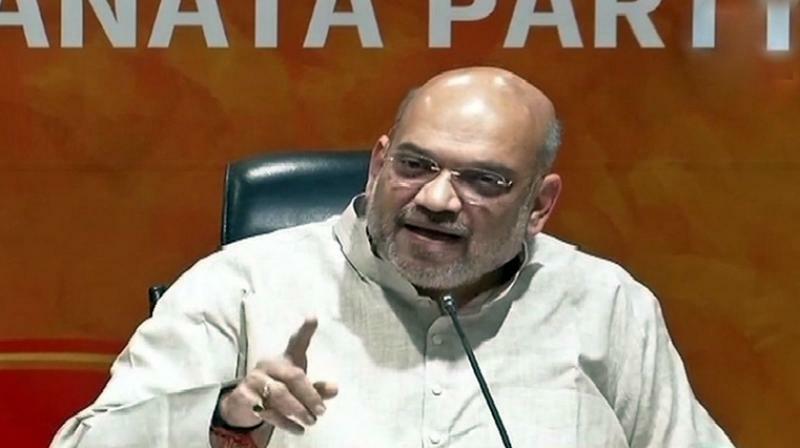 People present at Wednesday's meeting said Shah also referred to membership drives of some opposition parties and said they had followed the BJP. There are different booklets for panchayat-level workers, elected members of local bodies and members of farmers cells, among others.